1. The new Cobra Company 1:72 UH-1B/C/P weapons set #72013 shows well moulded and nicely fitting parts that give you a 7-shot XM-157 rocket pod and an M-134 minigun for each side of the fuselage, complete with all the required pylons and support assemblies, plus an ammo box assembly for the cabin floor. "The kit is a Mi-8T variant. This is now a rare bird, not often seen these days, but if you want to build the Mi-8 from the Afghan war everything is ok.
To the kit....the comparatively small (and good quality) box is shrink-wrapped. The box art shows a camouflaged Mi-8 with the mountains of Afghanistan in the background. There are five grey and one clear runners inside the box. The first impression is that the model is of smaller scale. But, in this case the first impression is deceptive. I compared the kit against the AiV drawings (Mi-8MT drawings, though they are good for dimensional verification). the shape of the nose is somewhat inaccurate (it seems like the "eight" nose has bad luck!) It is approximately 2mm longer, about 1mm lower, and the cockpit hump is a 1mm smaller. In my opinion the kit is good in terms of geometry. The errors are not fatal and are correctable, unlike the KP kit. to put it mildly, the unguided missiles blocks are not good. the decals are not historically correct. Would it be so hard to do? There are many materials about the Afghan war, and the people who were at the war are alive! The country must know who its heros are! the instructions are not too good and are printed on low quality paper. So, the conclusion is that this the best 1:72 scale "eight" today. However, the model is not free of deficiencies, though correctable in my opinion. The explicit points requiring effort are detailing, armament, and the glazing. In whole the model deserves a solid four out of five." Another correspondent says "Thin engraved panel lines, raised small rivets, acceptable interior detailing. 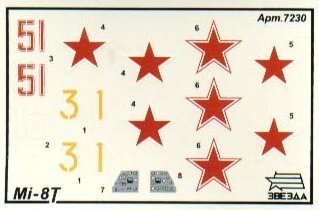 Decal and colour schemes for three Soviet versions, but nothing special." 3. Next up from Zvezda MAY be a 1:72 Ka-27PS, #7247. 4. A recent addition to Revell's 2002 release list is another version of their 1:32 Bo-105. 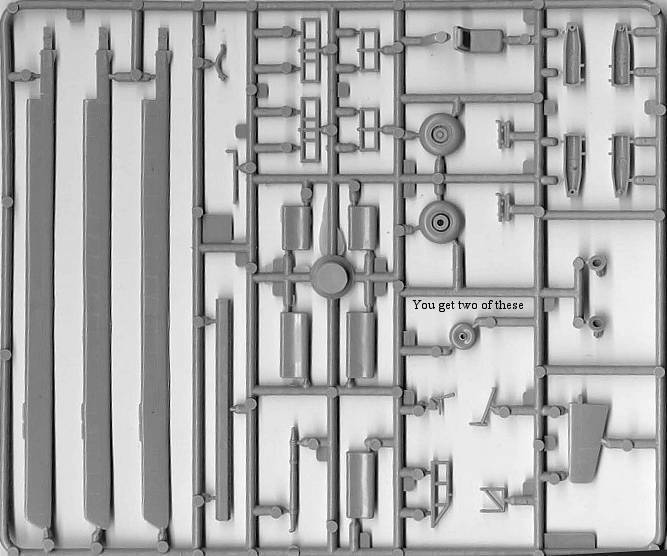 Kit #4473 will be a Bo-105 PAH-1 from Panzerabwehrregiment 16, Celle. 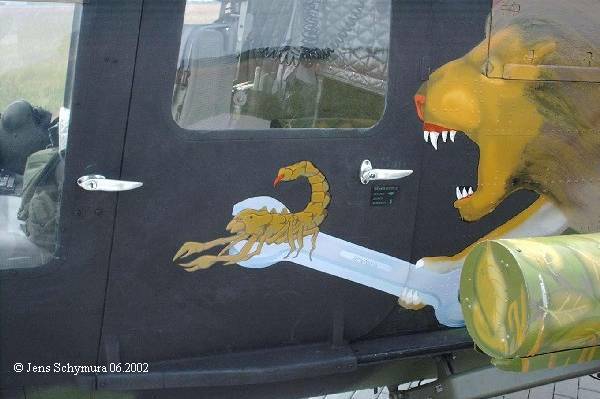 This aircraft has a tiger with a tank in its paw on the starboard side and a winged lion doing something to a scorpion with a wrench on the other. The rocket tubes are painted with jungle foliage. 6. Marine Air Graphics will soon have two sets of decals for the 1:32 Revell BK-117 available. These are updates and improvements on the original Healthnet and Pegasus aircraft. The Healthnet decals will have the correct metallic gold lettering that failed so miserably on the Revell decals. 7. One of the next few issues of Scale Aircraft Modeling will feature the Naval Lynx in an article by Jonathon Mock, complete with 35 colour profile drawings on 6 pages. 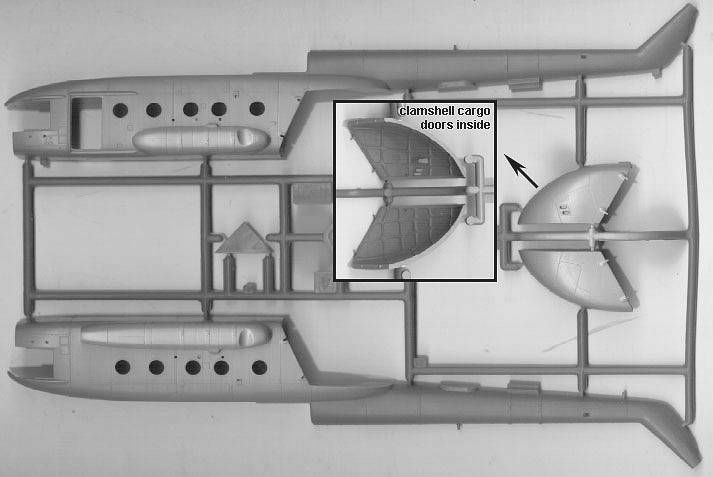 all detail found on the subject, including super-detailed cockpit, cargo bay, engines, main rotor, electronic devices & compartments, and armament. modern Air Force pilot and crew figures. 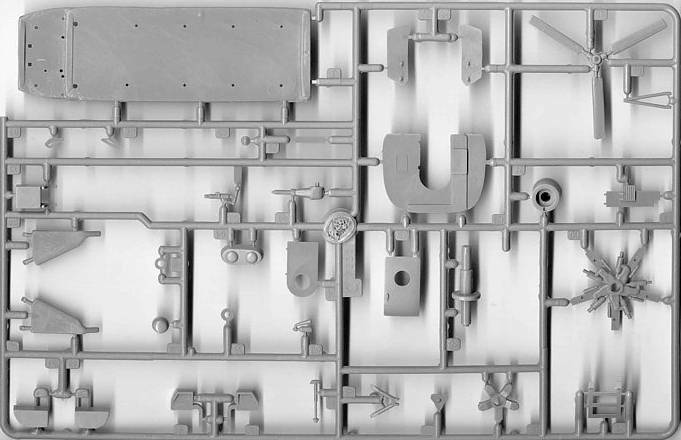 most parts injection moulded, the detailed parts (cockpit, armament, main rotor, crew figures etc. etc.) will be resin and metal. It is hoped that if it goes ahead it will be on the market by late summer 2003. If you would be interested in this, please get in touch with the proposed maker. Thanks to Jason van Lint, Yevgeny Borissov, Jonathon Mock, George Filyagin, Gary Dobias, Chris Miller, William F. Beasley, Tony Morgan and Tim Vereecke.